Seminar 9 a.m. - 4 p.m. local time. Registration (on the first day only) begins at 8:30 a.m. with breakfast. Should you need overnight accommodations we suggest the Holiday Inn Express & Suites, 800 West Market Street, Louisville, Kentucky. 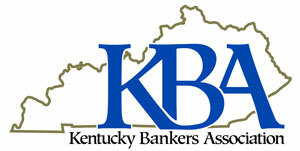 To make reservations call (502) 583-2552; be sure to mention you are attending a KBA program to receive our rate. This two-day program is designed especially for credit analysts tasked with the responsibility of underwriting the underlying credit strengths and weaknesses of business purpose loans. There will be a series of case studies that will allow the program participants to apply the concepts identified above. Cancellations received more than 30 days prior to the event will receive a full refund. Cancellations received between 29 days and 10 days prior to the event will be charged a $50 processing fee. There will be no refund for cancellations received less than 10 days prior to the event. Substitutions are always welcome and encouraged. All cancellations and substitutions must be submitted in written format prior to the event.